We enjoy our work immensely & challenge ourselves with each new commission. We strive to deliver the best service we can with the majority of our commissions a direct result of third party recomendations from satisfied clients. Eilir and Ian have been really impressive. They are both very creative, proactive and responsive and were able to obtain planning permission for a contemporary house in Salcombe. We are now progressing with the construction. The team at VE & S were wonderful. They delivered our dreams into a reality mixing Grade 2* with modern lines. Highly recommend. Come and see for yourself. van Ellen + Sheryn provided us with expert professional services as we undertook our first build project. It was a steep learning curve but Eilir and Freddie helped us through design (keeping to our brief), planning (negotiating with Dartmoor National Park), choosing a builder, drawing up contracts, advice during the build itself and a meticulous final snagging list. We couldn’t have done it without them and we felt their combined experience locally made a huge difference to the project’s success. Thank you very much! We have been clients of van Ellen + Sheryn since their early days and have always found them a pleasure to work with. We are still with van Ellen + Sheryn partly because they are excellent architects but also because we get a highly personalised service. We are consistently looked after by the right person and our requests are dealt with swiftly. Architecture and building works was something we had not done before and we found Van Ellen and Sheryn easy to work with and very professional, going beyond what was required to make the whole thing straight forward and trouble free. I wanted to convert an old conservatory into a usable space for all year round use. Van Ellen gave very good initial advice about what options were available to us with regards to the architectural work and costs. Then once we had agreed on a plan were excellent at giving us ideas based on what we thought, but added numerous options of theirs. They then gave us clear drawings of the different options and a smooth transition through the planning permission. They gave us numerous recommended contractors, material ideas, and even helped afterwards when the contractors had more technical questions at no extra cost. Eilir and his team were great. We wanted a transformation of an old conservatory and kitchen in to a open living space full of natural light. They listened to our thoughts, gave suggestions and improvements, then drew up clear designs. They were also very helpful and committed throughout the whole process, doing alterations, adding new ideas, as well as speaking to our builders about how certain elements would work. A really pleasant experience from first ideas to final finished extension, which is very practical and looks fantastic. Van Ellen and Sheryn always deliver a friendly, professional, service and do their upmost to see away through the demands of their clients, the natural constraints of any particular site, the budget constraints that may exist, and the expectations of the relevant Local Authority. It can be the case that the desires of a client are not matched by a Local Authority, this can result in adaptations to enable planning permission, Van Ellen and Sheryn always show patience and creativity in trying to overcome such problems. 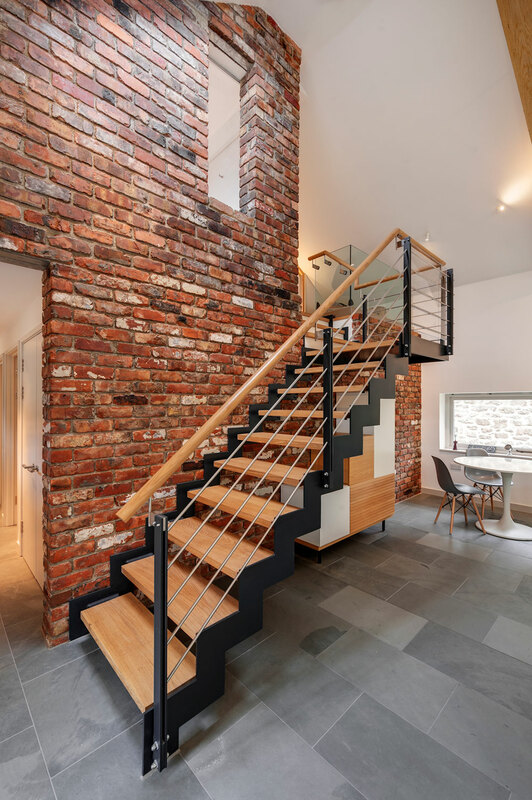 As a planning consultant and historic building consultant I have always enjoyed working alongside Van Ellen and Sheryn and found them efficient and reliable in delivering projects for their clients. My observation is that their clients also have enjoyed working with them and this is best substantiated by the repeat business and positive recommendations I have witnessed them receive. They create attractive solutions and have a sound appreciation of the hurdles often faced in securing planning permission and delivering a scheme, to aid this they have contact with an array of consultants who provide associated services to support development, this includes practices and professionals in the fields of planning, ecology, engineering, ground surveying, drainage etc. You don’t think you need an architect until you hit problems (especially awkward planners) then the experience, insight and professionalism of van Ellen and Sheryn is priceless. A friendly and professional practice – a pleasure to work with. Impressive timber frame design knowledge and excellent communication made this project an absolute joy – we hope to work with you again soon. We hired van Ellen Sheryn to provide us with a full design service, from concept through to plans and managing the planning process. We found them to be a great team of smart experienced people who worked together very effectively to provide us with a faultless service. They listened and they worked hard for us. In fact, it’s fair to say that they worked really hard for us, it was impressive. They have a genuine desire to please and we found them real team players. The result of their efforts made for an application that totally worked for us and our needs, the application pushed the planning boundaries but not so much that the application was refused and made costly, they trod the line perfectly. I sit writing this in our now completed two story extension, it really is a picture of beauty inside and out. It’s a home design that works for every occasion and we are delighted. So much credit sits squarely on the van Ellen Sheryn’s teams shoulders, we’d recommend and work with them again without hesitation. We couldn’t recommend Eilir and his team more. From the first meeting, we’ve been delighted with the support, advice and help we’ve received and the design is everything or more than we hoped for! Eilir listened to all our thoughts, requests, ideas and has designed a fantastic house. We were particularly worried about cost but have never felt pressured into building something we can’t afford. Van Ellen + Sheryn did a fantastic job putting a modern extension onto a thatched cottage. After a couple of false starts the final agreed lan was exactly what we wanted linking the House with its surroundings. The specifications of the glass and cladding lifted the build even further into something truly wonderful. Without exception everybody we had dealings with at the firm were polite helpful and at all times professional. I can’t recommend them highly enough. From the start you approached the assignment with a level of creativity and originality, as well as an understanding of how we wanted to live as a family, not shown by any of the many other architects we spoke to. Throughout you have demonstrated exemplary attention to detail, patience and a clear enjoyment in what you do. We started with a run down, dark, claustrophobic house and have ended up with a property truly worthy of its setting in the most beautiful countryside I know. Superb creative and professional team. Fantastic style ideas and attention to detail. Incredibly patient and great communication. They were also brilliant company whilst planning our home. When we started, we weren’t even sure what it was we wanted and it wasn’t until about the ‘Mark VII’ version that we finally felt brave enough to give the go ahead. During this ‘design gestation’ we felt embarrassed at our lack of direction but our indecision was met with patience and guidance until the final layout was agreed…everything was handled with smooth professionalism including the planning process with Dartmoor National Park. van Ellen + Sheryn had real vision and gave us some fantastic ideas for our property in Dartmoor as to how to make the space really special. We are delighted with our new loft and can’t thank them enough. We were delighted to hire van Ellen and Sheryn architects for work at two Dartmoor National Park Visitor Centres. Whilst relatively small contracts they had important stakeholders and the team listened to us to fully understand and deliver the plans that were asked for. We have commissioned van Ellen & Sheryn to design a new purpose built cookery school building in Ashburton which was opened in 2010 along with subsequent extensions to the building in more recent years. As a customer facing business we welcome thousands of people from around the world to spend large amounts of time (up to 6 months) within our building, so it is imperative that it is welcoming and attractive from the outside and a light and enjoyable space to work in. van Ellen & Sheryn showed an excellent understanding of the brief and gave us multiple, well-visualised concepts to help us focus towards a finished concept and plans. 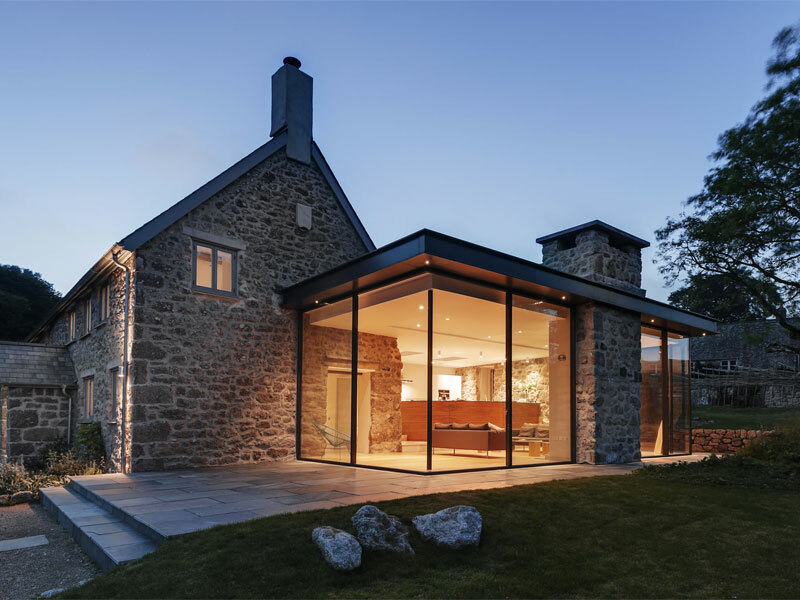 We are sited within Dartmoor Park conservation area which brings with it special considerations of materials and design, and much time was saved by having architects experienced of working within these parameters. There were no issues gaining planning permission. 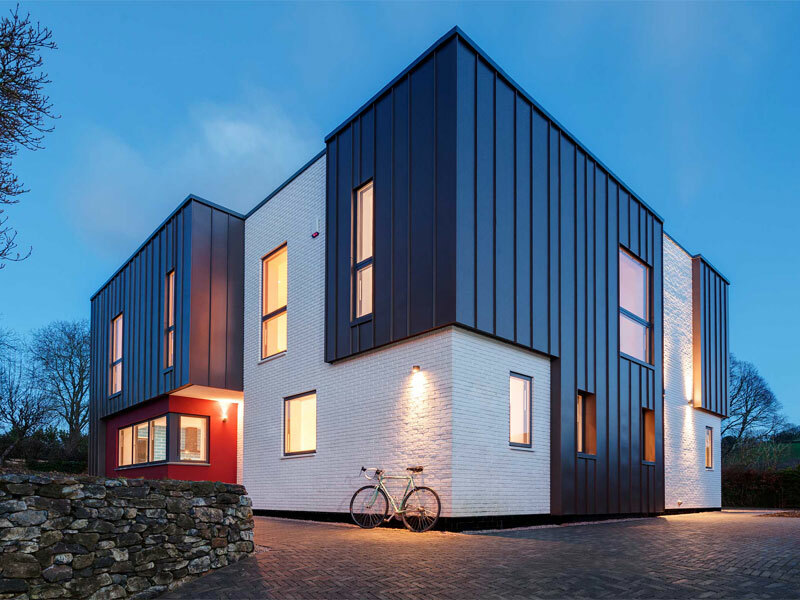 The finished build is exactly as visualised and designed by the architects – an outstanding building to look at and work in that makes the most of the site within which it sits and is a delight to work in. Several years later the business needed to expand and we commissioned van Ellen & Sheryn for the extensions. This was a tricky brief, adding on two new dining rooms to the existing facade and had the potential of spoiling the strength of the original design. Their design has actually strengthened the impact of the facade of the building which is quite an achievement. I would recommend van Ellen & Sheryn architects for projects of all sizes. They are a modern architect studio, small enough to care about all their projects, but experienced enough to cope with projects of all sizes. I feel they offer extremely good value. The work they have executed for us is contemporary yet looks better as time moves on – the sign of a great architect. A very professional and friendly practice to work with. They understood the importance of the lighting in such a beautiful building and we worked closely alongside them as well as the oak frame builders and the clients to create a functional and beautiful lighting design. We’re looking forward to growing our relationship with van Ellen + Sheryn in the future. I have no hesitation in recommending van Ellen + Sheryn Architects to any prospective customer. My experience was excellent – great service without fault, and very good value for money. If I need to employ an Architect again I would engage van Ellen + Sheryn without question. 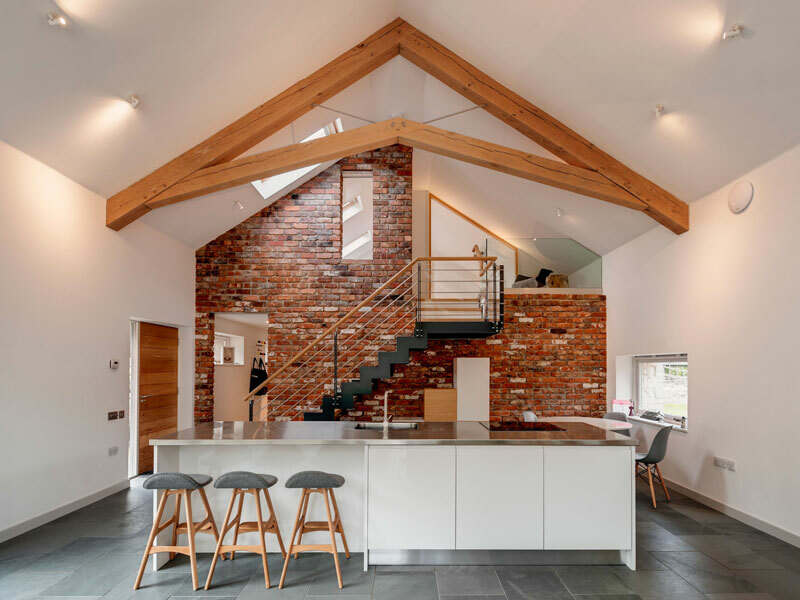 van Ellen + Sheryn offered a flexible and scalable service from initial consultancy, through design and application, and even including project management of the build, according to our needs and budget. Our project was quite modest in scale, nonetheless the company were thorough and professional in every way, paying great attention to all the details, and showing full understanding of the many regulations, procedures and formalities that had to be observed for planning and building compliance. Van Ellen + Sheryn made the entire process very simple and easy to understand, explaining all the steps in plain English, providing valuable advice while interpreting our wishes and needs to deliver a design we were very happy with, and delivering or facilitating the planning applications, engineering drawings, surveys and consultancy with the builders and various other agencies, so that the project ran smoothly, on time and without stress. Thank you van Ellen + Sheryn! We are 5 months in to a 7 month build on our 1930’s Arts and Crafts house in Torquay, the design of which Van Ellen created for us. We were instantly impressed by their designs but it’s only since the build / renovation has moved in to its final stages do we really appreciate the wonderful space they have created for us. The house, whilst always grand on the outside, was so muddled on the inside it felt cramped and depressing. Now the house can breath again – it’s light and airy, the high ceilings and large open spaces give a sense of grandeur, the rooms flow beautifully. We’re still 2 months from move in but we already know that with Eilir and Dave’s help we have created our forever family home. We used the van Ellen and Sheryn practice as we had been impressed by a project they had completed on Dartmoor. We worked alongside both Eilir and Ian and both were very approachable, experienced and informal….which we liked. They listened to our brief and appreciated that we had a budget. Our project was complicated as we wanted to retain the Georgian frontage of the building and demolish the rear, adding a contemporary barn like structure. They were always available and professional throughout..It’s reassuring to know they are just down the road should we need advice or clarification during the build process. We would certainly recommend them. We have worked with the team at van Ellen and Sheryn on 6 projects as there Principle Contractors. 3 of the projects have been in a National park and one on a listed building within the National park – this particular project was the first building to gain planning permission of its type – no small achievement and a credit to the practice. They are a very approachable practice who interpret the clients requirements with some original and practical design features that also meet the budget. The release and quality of the information on the drawings is clear and easy to work to. Each project has been better than the last – looking forward to working with the team on the next one! van Ellen + Sheryn provided us with expert professional services as we undertook our first build project. It was a steep learning curve but Eilir and Freddie helped us through design (keeping to our brief), planning (negotiating with Dartmoor National Park), choosing a builder, drawing up contracts and advice during the build itself. We couldn’t have done it without them and we felt their combined experience locally made a huge difference to the project’s success. Thank you very much! 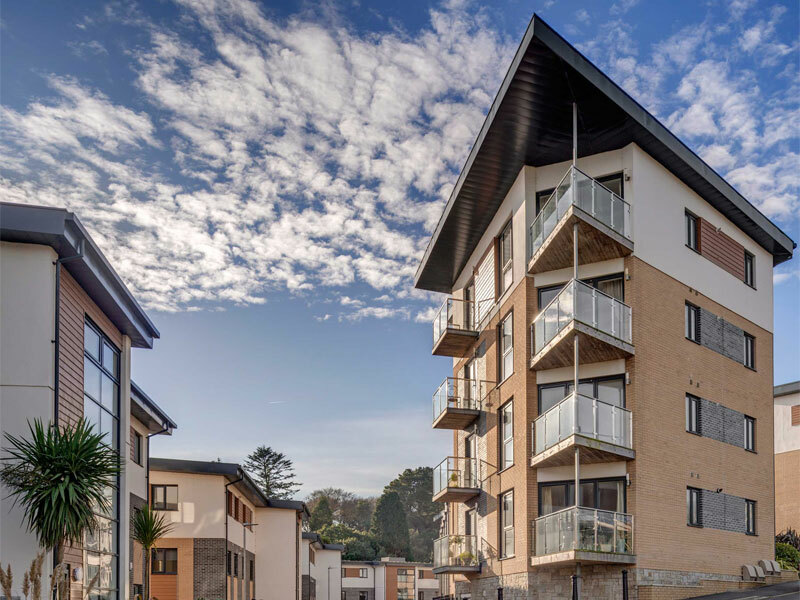 van Ellen + Sheryn Ltd. have worked with me on a number of projects in South Devon, ranging from the refurbishment of a 1930’s period property, to high-end private dwellings and a new-build housing scheme. 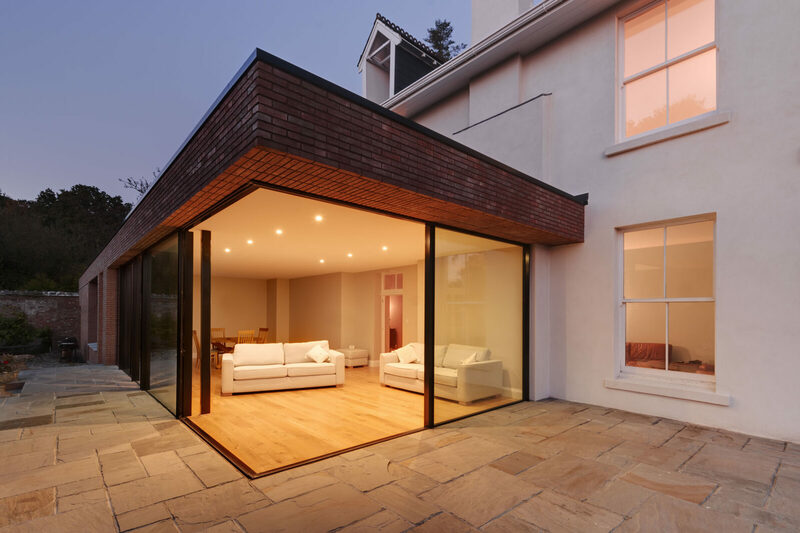 In each project they have provided an excellent and comprehensive service, combining contemporary design, planning knowledge and technical expertise. It has been an enjoyable process working with them, and I would not hesitate in recommending their services in the future. Eilir, Freddie and the team make us very #happybuilders. They provide fantastic plans for us to work from, lovely clients to work with – and at the same time, are happy for us to collaborate early on in the project when we are brought in by a client to work together from the start. Forward-thinking, efficient, practical and always place the client at the centre. A breath of fresh air.